I came up with this lovely salad to use the Basil Vinaigrette. 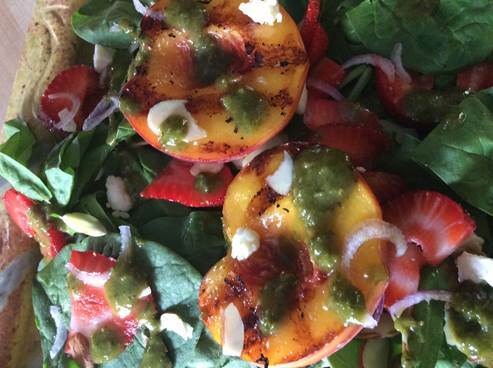 I set a bed of spinach, slivered very thin red onion, fresh strawberries, feta and grilled peaches. Drizzling the basil vinaigrette was the “spa-ha” treatment! 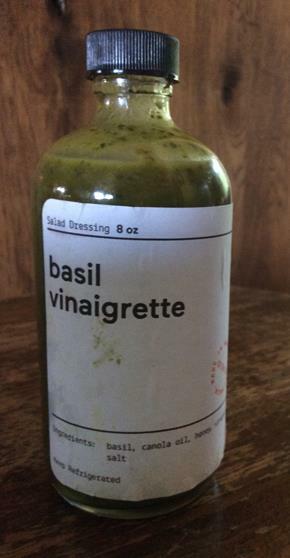 The vinaigrette really married all the flavors. The balance between the basil-oil-honey was perfect and the freshness was top notch! I give great compliments to the inventor of this wonderful product. Well done Freckled Frogg! 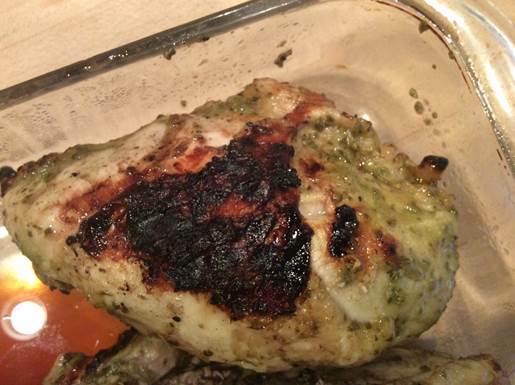 And here is the marinade chicken idea I snitched from Jamie - and it is a winner for sure – a must do again recipe! Marinade for approx. 1-2 hours in refrigerator. Grill until nice and crisp on the outside. The inside stays so moist you can’t believe it – so you quickly take a second bite to see if it’s true! So YUMMY and delicious. The marinade is very mild at this point – it’s not real dominant, but I am positive this is the only reason the chicken grilled up so nicely and stayed so moist! THANK YOU Freckled Frogg - I will highly recommend you to others and I will also be making a special day trip just to check out your Garden café in Waupaca! Freckled Frogg is at the market every week in the block between Durkee & Drew St.